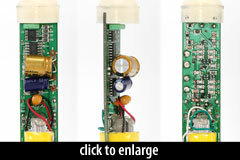 The V67N is a small-diaphragm condenser with a transformer-coupled circuit. It ships with interchangeable omni and cardioid capsules. 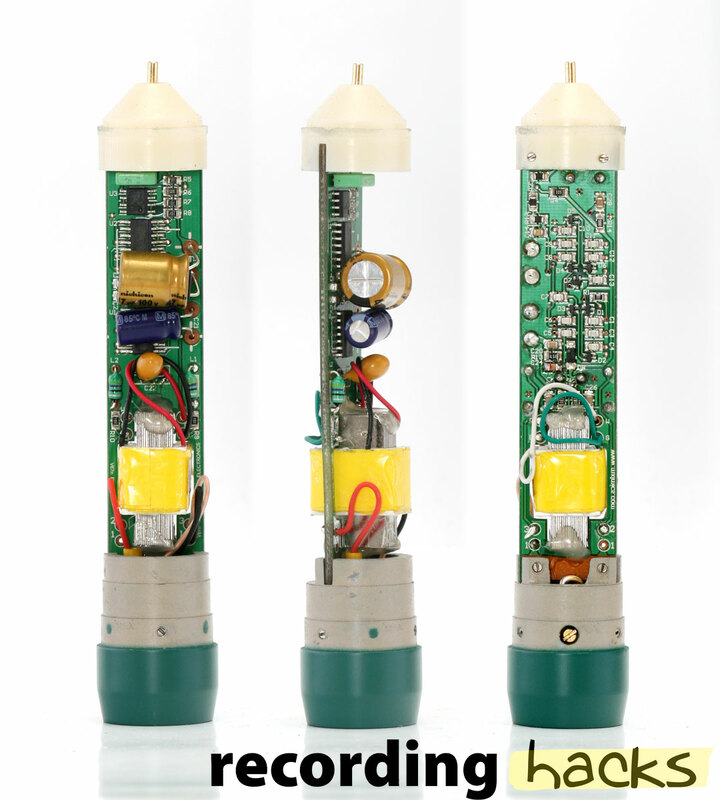 The detachable capsules are compatible with MXL’s transformerless pencil microphones, the 603S and 604. The V67N’s circuit has a lower output level than the 603S/604 transformerless circuits, by approximately 10dB. This causes the V67N’s rated sensitivity to be much lower than that of the transformerless microphones (3.5mV/Pa vs. 10mV/Pa). The V67N’s polarization voltage is higher than is typical for other SDCs: 67VDC vs. ~45VDC. Higher voltage at the capsule helps to raise sensitivity and lower self-noise, but can make the mic more susceptible to plosives, and can reduce the max SPL, unless the capsule is specifically built for higher voltages. MXL’s small-diaphragm capsule design that was modeled after Neumann’s KM-84. Diaphragm thickness is 6 microns; diaphragm diameter is 16.75mm. The distortion performance of the V67N circuit is excellent; it is on par with transformerless circuits, with no evidence of low-frequency overload or harmonic distortion that commonly affects transformer circuits. The circuit is implemented with both surface-mount and through-hole parts, and includes an integrated circuit chip. The V67N comes with a mic clip (p/n MXL H-03), a micro-fiber cleaning cloth, and two interchangeable capsules (omni and cardioid). A suspension shockmount (p/n MXL-41-603) is available separately.